n the summer of 1138, war between King Stephen and the Empress Maud takes Brother Cadfael from the quiet world of his garden to the battlefield of passions, deceptions, and death. Not far from the safety of the abbey walls, Shrewsbury castle falls, leaving its ninety-four defenders loyal to the Empress to hang as traitors. 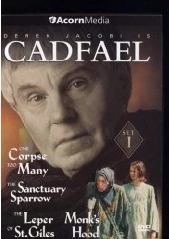 With a heavy heart, Brother Cadfael agrees to bury the dead, only to make a grisly discovery: ninety-five bodies lie in a row, and the extra victim has not been hanged, but cruelly strangled. 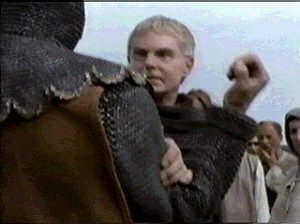 This ingenious way of disposing of a corpse tells Cadfael that the killer is both clever and ruthless. But one death amoung so many seems unimportant to all but the good Benedictine. 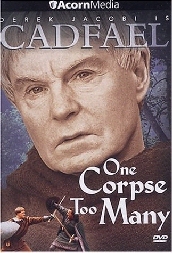 He voes to find the truth behind disparate clues: a girl in boy's clothing, a missing treasure, and a single broken flower -- the tiny bit of evidence that Cadfael believes can most easily expose a murderer's black heart.